thanks Rin! 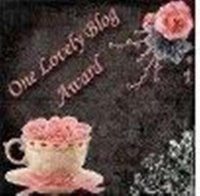 I am loving your blog too. Congrats on getting the award! And goodluck with your way to doing the contest ;)! Thank you!!! This is exciting for me haha. Why can't you post a comment on my page? Thanks for following hun!! I hope you you join my contests, it should be lots of fun. Hey Rin thanks so much for awarding me i appreciate it so much.God bless.